This year we are happy to announce not one but TWO fitness at this year’s convention! 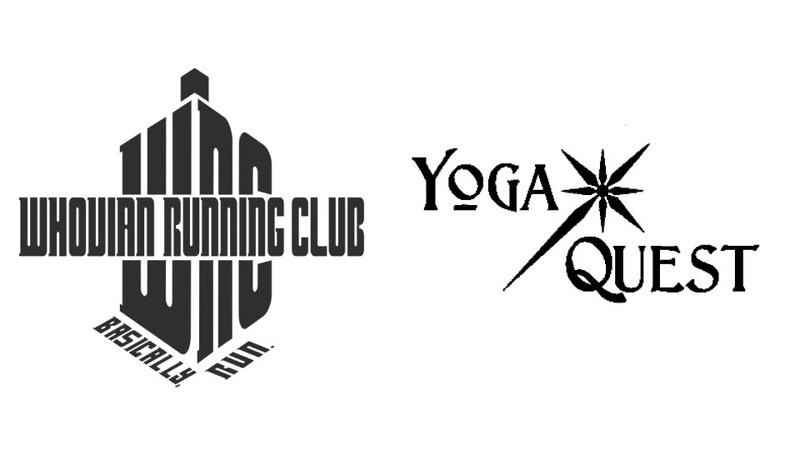 Along with the Whovian Running Club we will be holding a FUN RUN on Sunday, May 13! More details are coming soon. YOGAQUEST is also returning with more fun WHO-THEMED YOGA SESSIONS accessible to everyone regardless of yoga experience. YogaQuest is a unique and dynamic wellness business that is blazing a trail for those outside the mainstream – geeks, nerds, and anybody who has experienced gym trauma – to engage with wellness on their own terms. Both in studio and through outreach, YogaQuest challenges traditional wellness narratives to make self-care more accessible and fun for all. With narrated yoga classes that incorporate movement and fan-fiction storytelling, as well as discussion panels focused on making wellness one’s own – rather than conforming to mainstream wellness narratives – YogaQuest presents a radical alternative to mainstream wellness spaces. 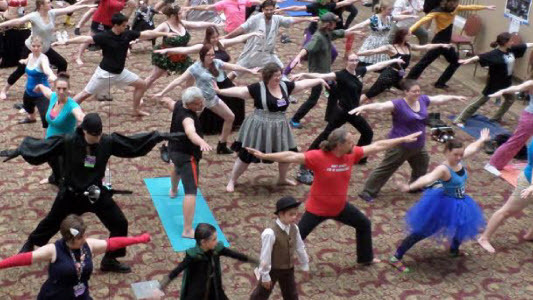 YogaQuest is pleased to have a vibrant online community, online content for home practice, and the opportunity to engage with the geek community at both fan-run and larger pop culture conventions across the country. Their Narrated Yogic Adventures and discussion panels have been featured at New York Comic Con (NYCC), Chicago Comic and Entertainment Expo (C2E2), Emerald City Comic Con (ECCC), and at Wizard World Comic Cons in Minneapolis, Chicago and Philadelphia. YogaQuest has been featured in such publications as: The Wall Street Journal, Yoga International, Geek & Sundry, and Atlas Obscura. YogaQuest maintains a studio in Minneapolis that offers regular classes, workshops, and teacher trainings. Pose nerdy with YQ! Yoga sessions will be announced along with the schedule as the convention draws closer. We are so excited to bring both of these fitness/wellness activities to our convention this year! Learn more about this year’s guests at our Guests page.